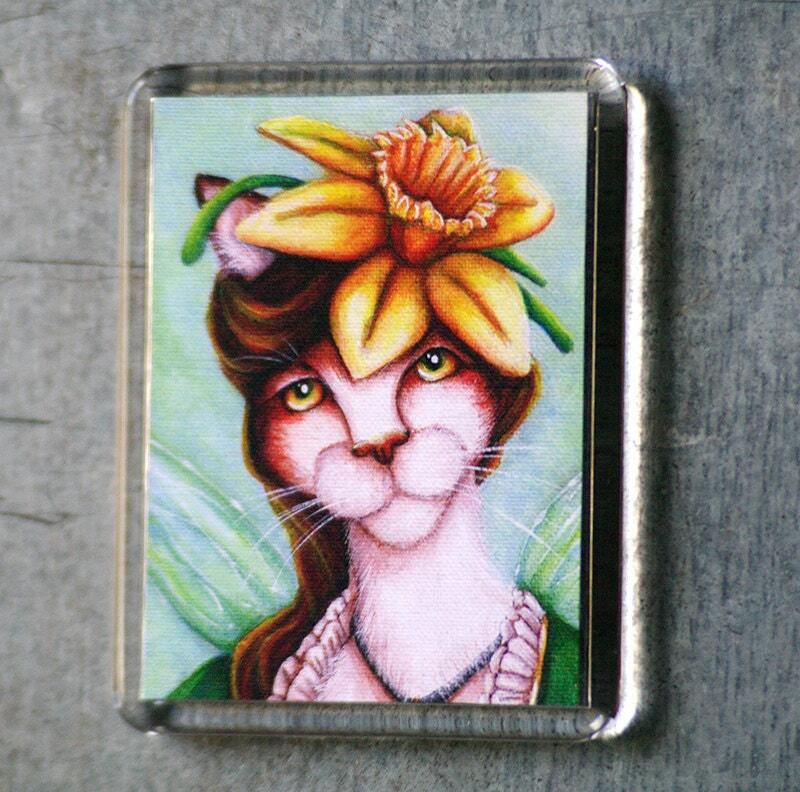 This lovely magnet makes a purr-fect gift for cat lovers and gardeners alike. 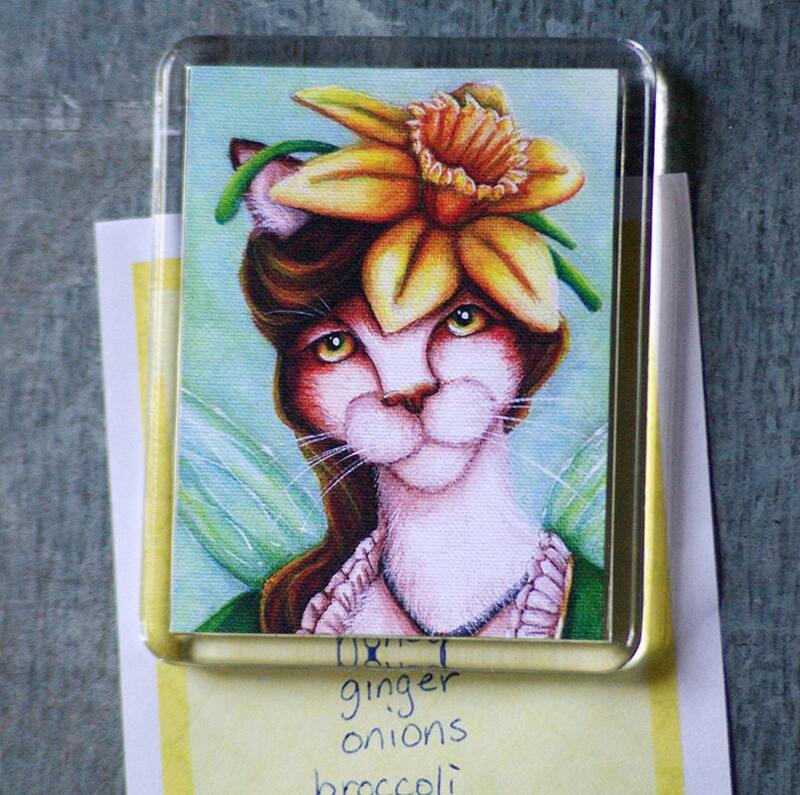 "Miss Daffodil", from my Flower Fairy Cat series, brings beauty and a bit of whimsy to your fridge, filing cabinet, desk, or any magnetic surface. 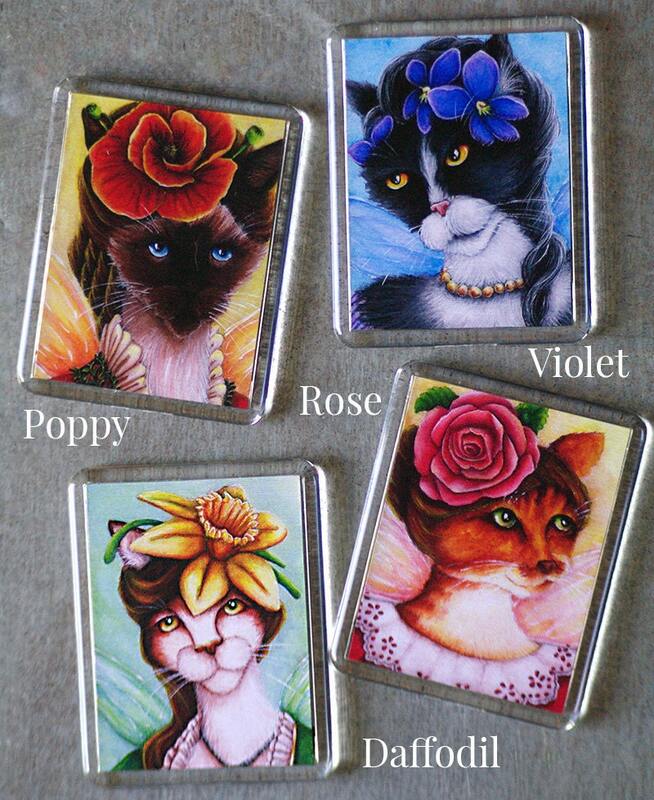 These magnets make great party favors and stocking stuffers!